The distant (486958) 2014 MU69, nicknamed Ultima Thule, made history on New Year’s Day for becoming the farthest object ever visited by a spacecraft. As it’s situated in the Kuiper Belt about 4.1 billion miles from Earth, there’s much about MU69 that scientists are still learning. Now, new images have raised even more questions about the mysterious object. So little was known about MU69 prior to the flyby that NASA was unsure whether it was a single object or, in fact, two objects orbiting around each other. Scientists discovered its snowman-like structure after New Horizons began sending images to us here on Earth. On Friday, NASA released a video compiled using more than a dozen images that show Ultima Thule may actually be, uh, much flatter than initially thought. The images were captured Jan. 1, more than 5,000 miles beyond MU69 after New Horizons zoomed past it. According to NASA, scientists were able to deduce its shape by “tracing” the part of these images that blocked out stars in the background on the side that wasn’t clearly outlined by the Sun. 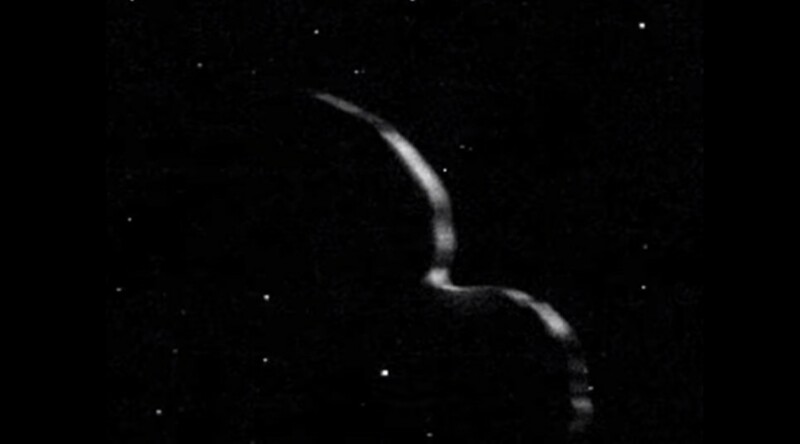 “We had an impression of MU69 based on the limited number of images returned in the days around the flyby, but seeing more data has significantly changed our view,” mission Principal Investigator Alan Stern, of the Southwest Research Institute, said in a statement.